Finding a good chewable is a priority for adults who have a hard time swallowing tablets and parents whose pediatrician has recommended chewables for their growing children. The best source for chewable brand recommendations is your health care provider. Ask her if she recommends a specific brand or a specific chewable. Shopping for chewables takes a bit more research than standard vitamins, but good options are available. Finding the best chewable for yourself, or your child, is challenging. Due to the way chewables are meant to break down, many vitamin manufacturers use a controversial preservative called butylated hydroxytoluene, or BHT. There are concerns regarding the safety of this preservative, which is banned in Canada, Europe and Japan, according to the book "A Consumer's Dictionary of Food Additives" by Ruth Winter. In addition, independent tests found that chewables contained almost 50 percent less vitamin content and nearly 80 percent lower mineral content than the standard multivitamins tested, according to LabDoor. The best chewables are free of BHT and other potentially harmful preservatives, heavy metals and other contaminants. The best chewables also contain a vitamin and mineral content comparable to standard vitamins. To make your search easier, look for chewables that bear the seal of an independent testing firm such as the U.S. Pharmacopeial Convention. Chewables that have the USP Verified seal have undergone and passed stringent testing. 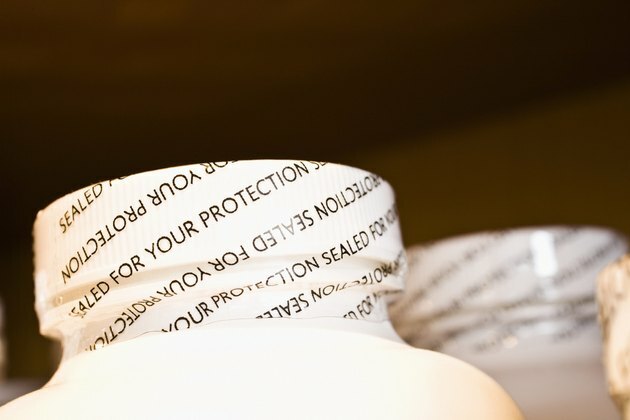 The seal assures consumers that the product is free of harmful contaminants and contains the ingredients listed in declared potencies, among other things. Look for chewables made from some of the top-rated brands. A 2013 customer satisfaction survey named Life Extension, Nature Made, Kirkland, Douglas Labs and CVS as five of the best brands, according to ConsumerLab. These brands are easily accessible at your local drug store and online and offer chewable vitamin and mineral supplements for adults and children. Read the label carefully to find one that best suits your needs or your child's needs. For example, you may want a chewable that does not contain sugar. Kirkland Signature Sugar Free Children's Chewable Complete Multivitamin passed Consumer Reports testing and is USP-verified. Kirkland is Costco's brand of vitamins and is consistently ranked among the best brands. For adults, Jamieson Chewable Vita-Vim Berry ranked at the top, according to a Consumer Lab review of multivtamin and multimineral supplements. It's specially formulated for people who have trouble swallowing pills, contains 20 essential vitamins and minerals and is free of BHT. Can Adults Take Flintstone Vitamins? How Much Iron Is in a Flintstone Vitamin?